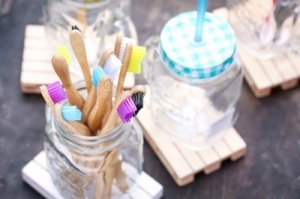 Choose the toothbrush that is more than just a good toothbrush. Chose one that is kind to our planet too. 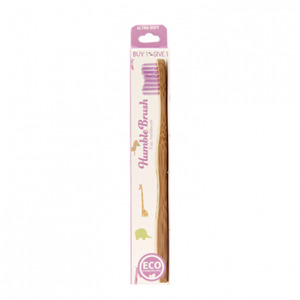 Humble Brush is not only eco-friendly and socially responsible, it is also an effective toothbrush developed and supported by the world’s most respected dentists. It is easy to use, has a specific curved headshape that helps with access to all areas of the mouth, it is comfortable to hold, effective in removing plaque and the natural bamboo handle is lightweight and therefore easy for both adults and children to hold and brush thoroughly. Humble Brush has been carefully designed and then evolved through a detailed process - the subtle design curve of the Humble Brush head and bristles took over 400 prototypes to perfect. 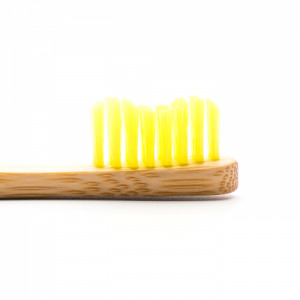 Why use the Humble toothbrush instead of a regular plastic one? Every year, the world consumes over 3.6 billion toothbrushes. Every year, we throw about 2 billion of them away - most of them end up in landfills and oceans. 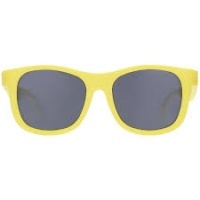 The majority are made from plastic which does not degrade. Worse, plastics are produced from fossil fuels so we are locked into a cycle of harming the planet - manufacture, throw away, manufacture, throw away. 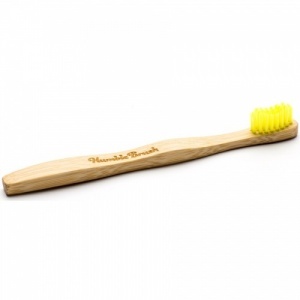 Humble Brush is made from a biodegradable bamboo handle and nylon-6 bristles. Bamboo is the fastest growing plant on earth. So like grass, when you cut it back, it continues to grow - and fast. It is naturally antibacterial which means that there is no need to use fertilizers or pesticides during its cultivation. The bamboo is naturally grown to the desired height and is harvested in mainland in China. The processing, production and packaging are all done by hand. The bamboo gets cut into strips, steamed and stripped of the tough outer layer. It dries in the sun and then gets cut into workable pieces. The outside of the material gets stripped again, and the sides are hand-crafted to form the optimal shape. Holes are drilled into the head, the entire brush is sanded and the logo is laser burned into the handle. It is treated with natural wax and the bristles are inserted. After packaging your Humble Brush is ready for shipping. There's one big reason why; Humble Brush has to work well as a toothbrush. After extensive testing and prototypes, using a more degradeable nylon was the only answer. All Humble products therefore use Nylon 6 which degrades faster than lower grades of nylon. The bristles are varied by thickness to provide options for Soft (adult), Medium (Adult - UK Only) and Ultra-soft (kids). 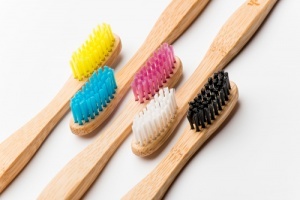 The bristles have been verified to be free from the toxin BPA (Bisphenol A). Nylon 6 is a material ideally suited for dentistry but also degrades over time and can be processsed through regular waste channels. Importantly, there is no other plant-based material that would allow to use your brush for the recommended three months. Humble Brush has no disadvantages to conventional toothbrushes. 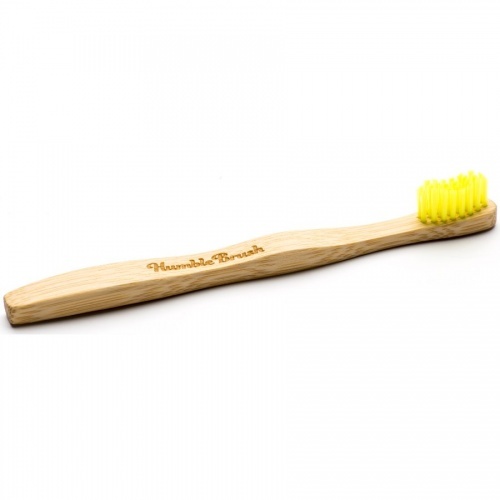 The eco-friendly bamboo brush will last you just as long as any mass produced plastic toothbrush. 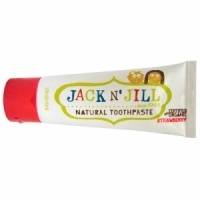 It is recommended by dental experts to replace your toothbrush every 3 months.